For many of us, the upcoming months are a festive time spent with family and friends. Whether gathered around for a holiday meal or just spending some time together, there’s always a need for a “fun fact” to share with the group. Out of fun facts? Well look no further! 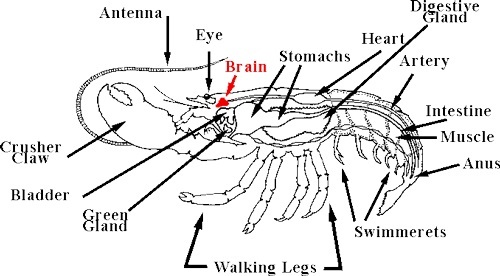 Your fun fact for the day: lobsters pee out of their heads. Wait, they do what?! Yup! It’s true! So what’s the deal? To start, animals need to communicate with others for lots of reasons. It could be to send an alarm, find a mate or defend a territory. Lobsters are no different. And in the ocean, chemicals, called pheromones, are an important communication method. These chemicals travel through the water, potentially impacting the behavior of another animal. If you’re a lobster hunkered down in your own cave, you need to communicate with other lobsters walking by. That’s where pee comes in! A lobster’s bladder is located under their brain. Pheromones are created, added to the urine and then released from nephropores at the base of their antennae. And that urine stream can go far…up to seven feet away from the lobster. That’s some pretty powerful pee propulsion! 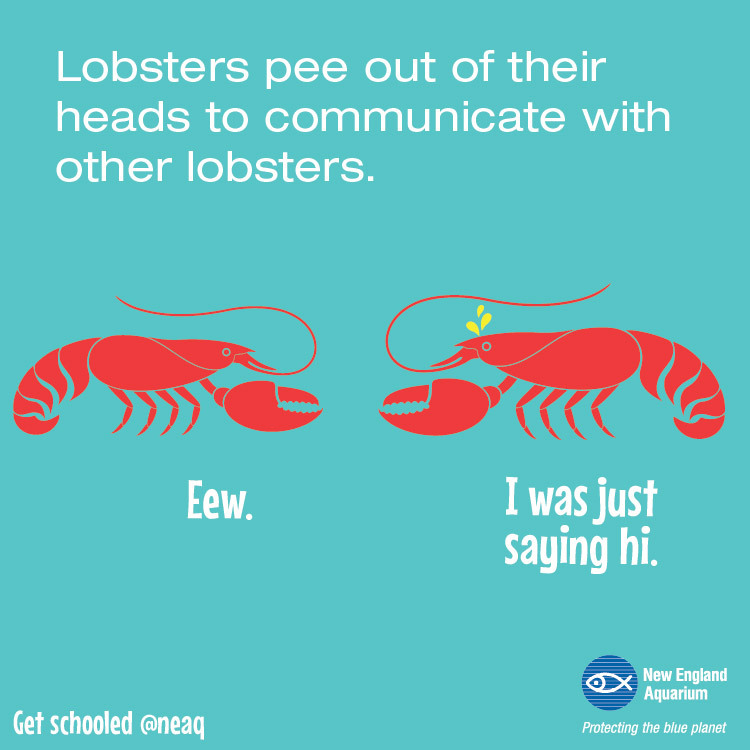 But what is that urine “saying” to other lobsters? The pheromones are used mostly for love…and war. 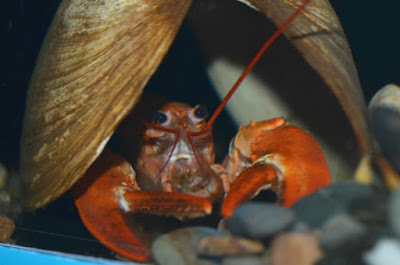 Lobsters face towards the entrance of their cave, making it easy to defend the home-front from other lobsters, with males asserting their dominance over neighboring lobsters. Peeing out of their heads is the most direct way for urine to travel out of their home into the surrounding water. 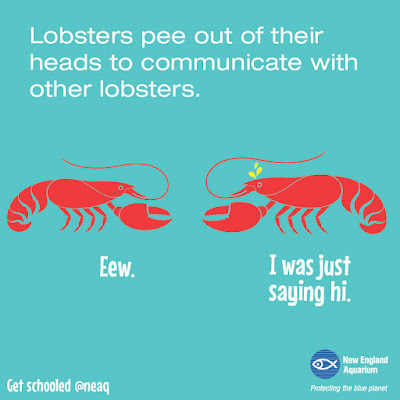 If two males find themselves in the same area, one lobster is determined to be the strongest and may depend on the amount of pheromone in the urine stream. This gives him a competitive edge for the best shelter and preferential mating rights. Lobster condos provides enough space for everyone! Once the battle has been won, it’s now time to impress the ladies. 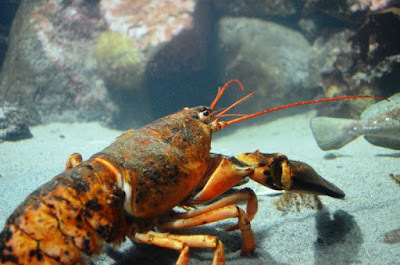 A dominant male lobster will have a more attractive scent to female lobsters, indicating that he’s a good choice for a mate. Picking up on that scent, a female lobster cautiously approaches the male’s burrow and urinates towards him! This reduces his aggression, allowing the female to enter his cave for mating. 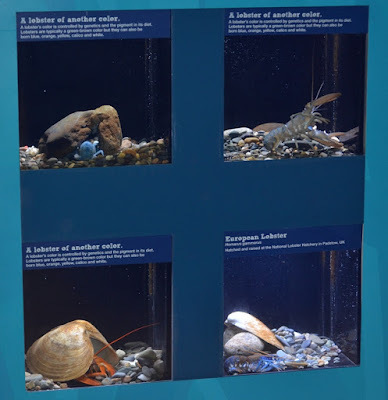 And because she wants the male all to herself, the female will use more urine to tell other females walking by that the male lobster is “unavailable” at the current moment. So there you have it…your fun fact for any gathering of family or friends. 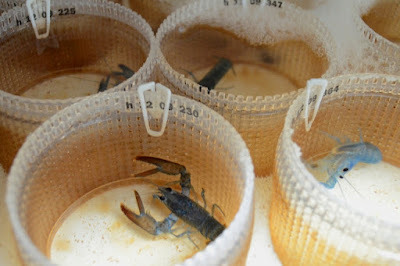 Need some more information on lobsters or want to take a trip to see lobsters in person? 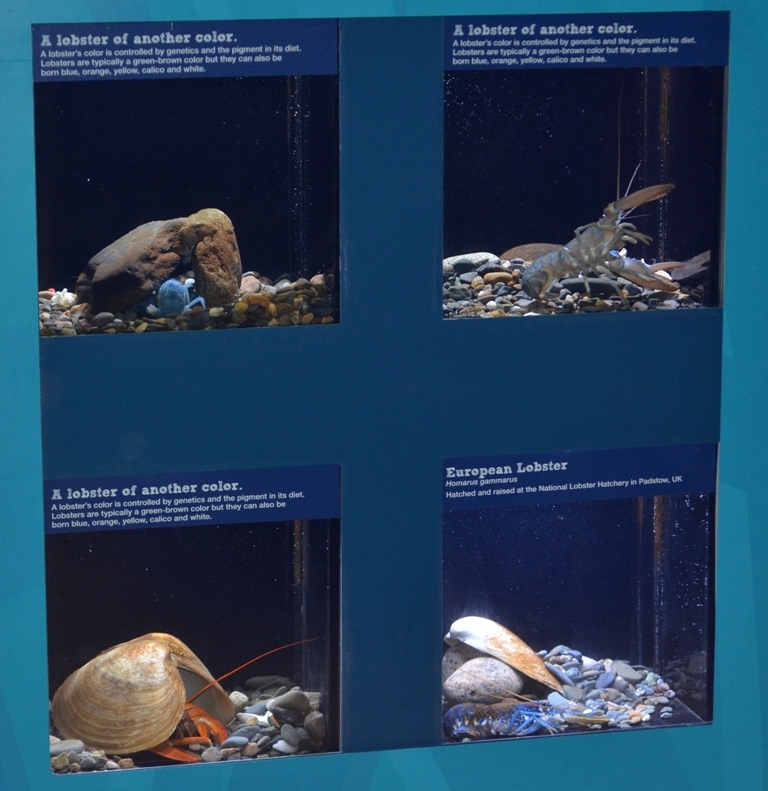 Head to the Aquarium and see a 12-pound lobster in our Gulf of Maine boulder reef exhibit or the 6-month old lobsters in our lobster nursery in the Blue Planet Action Center. More importantly, learn how Aquarium researchers study shell rot, a disease that’s impacting lobsters throughout New England, and work with lobster fishers to ensure healthy lobster populations for generations to come. And you never know…you may find your new fun fact while you’re here!